Every blogger on the Internet seemed to post this week on limiting use of email. For that reason, I won’t be writing on a post about that. However… I do have a few comments: We all know email takes up a lot of our time. 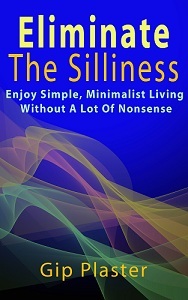 Part of simplify life is bringing time vampires and energy wasters into check. Anything in life that’s using your time but returning very little reward can be limited or eliminated to make life better, simpler and more productive. You already know that, don’t you? Those other bloggers’ posts did have an impact on me, though. I took some time this week to clean our my email inbox. If you’re like me, you leave a few things in your inbox each time you check mail. A few things are too interesting or important to delete immediately, but you don’t want to file them away in a folder and forget them. Maybe you want to read them more closely or add a few comments and send them to someone else. But you don’t get to all of them next time you check your inbox, do you? A few of them languish there for days, week or months. Yesterday, I deleted everything except the things from that last day or two from my inbox. I’m trying to process everything immediately — or at least within the same day. Here’s my policy on checking email, and it’s subject to change: When I’m at my desk, as I am now, my email is open and I get updates every 10 minutes about whether anything has arrived. (I intentionally set my email to NOT check every minute.) When I’m away from my desk, I don’t check email at all. That means I could go hours or even most of the day without checking in. If I’m going to be away or out for several hours and know something important is coming, I reluctantly take my netbook so I can stay in touch. Now, a quick decluttering update: I didn’t do as much decluttering this week as I would have liked, but I’m sitting at my desk with a full trash can at my feet, so that’s something, I suppose. I’ve been piling things that don’t have homes in a chair beside my desk for weeks, clearing a few away each time I have a chance. Today, I managed to clean out the chair, fill up the trash can and get that pile off my mind. Now, I need a nice trip to Goodwill to clear off the kitchen table. I’m maintaining my progress in other rooms, as well, so I can’t complain. I’m making no promised about next week, but I think I’ll get something productive done. You just wait and see. I came across your blog about a month ago. I have been gradually decluttering over the last eighteen months, and was seeking some inspiration. After reading one or two entries, I went back to the beginning to make sure I had read them all! Thank you so much for sharing your thoughts and your accomplishments. It is interesting to note that so many people around the world (I live in Australia) are “decluttering” their possessions and approach to life. Thanks for the comment, Jennie. I’m glad to be a source of inspiration. I try to honestly explain what I’ve accomplished each week — even when it isn’t much. And there’s still so much more to do!